Rick Riordan Presents Gets Underway! 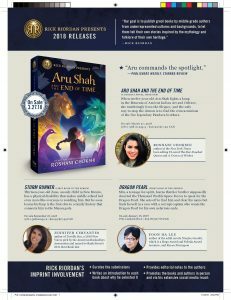 The January 29 issue of Publishers Weekly features this beautiful full-page ad for the Rick Riordan Presents imprint! Did you miss the news? Are you wondering what the imprint is all about? I’m so confused! What’s going on?? What IS an imprint? An imprint is like a brand, a subdivision within a publishing company that specialized in one particular kind of book. If we were talking about movie studios, for instance, you could describe Disney as the publisher, with various “imprints” under their umbrella – Marvel, Star Wars, Pixar, Disney Animation, etc., each making a different kind of film, but all part of Disney. With publishing, Disney Worldwide Publishing is the main company I work with. They have published all my various mythology-based books. Rick Riordan Presents will be a small branch of that very large publishing house. Our goal is to publish about four books a year under the Rick Riordan Presents imprint, two books every fall and two every spring. All these will be books that my editor Steph Lurie and I feel will appeal to kids who like my books. In other words, they will probably be some type of middle grade fantasy, with lots of humor and action, and probably draw on myth or folklore in some way. 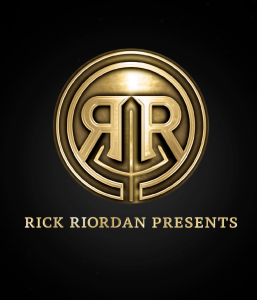 But why are you making a ‘Rick Riordan’ imprint and what does that mean? Basically, our goal is to publish great books by middle grade authors from underrepresented cultures and backgrounds, to let them tell their own stories inspired by the mythology and folklore of their own heritage. Over the years, I’ve gotten so many questions from my fans: “Will you ever write about Hindu mythology? What about Native American? What about Chinese?” I saw that there was a lot of interest in reading fantasy adventures based on different world mythologies, but I also knew I wasn’t the best person to write them. Much better, I thought, to use my experience and my platform at Disney to put the spotlight on other great writers who are actually from those cultures and know the mythologies better than I do. Let them tell their own stories, and I would do whatever I could to help those books find a wide audience. Are you writing all these books for the imprint? Are they connected to Percy Jackson’s world? No and no! My job is to help edit the books where it seems appropriate, to offer advice and guidance where I can, and to promote the great books we will publish, but I am not writing the books and I don’t tell the authors what to write. This is not like using a ghost writer or ‘assistant writer’ to write my ideas. These are original stories generated by the authors – their intellectual property, told their way, with their characters and their sense of humor. The worlds they create are their own. They are not extensions of Percy Jackson’s world. 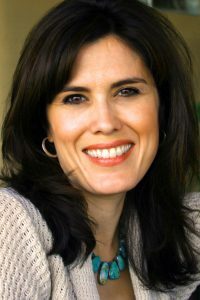 The authors (and their agents) who choose to submit their works to the imprint negotiate a publishing deal with Disney the same as they would with any publisher. I’m not directly involved in those negotiations. Steph Lurie just shows me samples of the different works that are submitted and I let her know which ones I’m the most excited about. The three books we will publish in 2018 are the first batch, and I am stoked about each of them! *Suspicious Sideways Glance* So what’s in it for you? Disney is paying me a nominal fee to write an introduction for each book, help edit and promote it, etc., but that’s the limit of my monetary involvement. As I said above, the authors own their own intellectual property and negotiate contracts with Disney as they would with any publishing deal. I am not doing this for money. Honestly, for me this is a way to give back for my success. I’ve been very lucky in my career. I want to use my platform to help other writers get a wider audience. 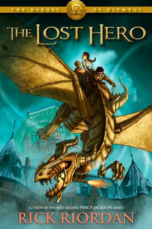 I also want to help kids have a wider variety of great books to choose from, especially those that deal with world mythology, and for all kinds of young readers to see themselves reflected in the books that they read. Will you keep writing your own books, though? Oh, yes! The imprint won’t affect my own projects at all. I’ll keep writing my own books. Not to worry. 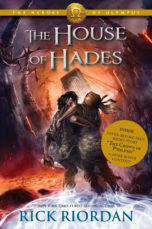 So how do you choose which books to publish for Rick Riordan Presents? My editor and I look for books that I could enthusiastically recommend to my own fans. 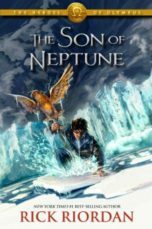 If you like Percy Jackson, if you like Magnus Chase and all my other stuff, then I believe you will probably like these books too. That’s not to say the imprint’s titles are exactly like my stuff. These authors all have their own unique voices, senses of humor, plots, characters, etc. But the books are all great, highly accessible reads with lots of fun fantasy and mythology elements. And, as I said, we try to pick books about cultures you don’t hear enough about in middle grade books, by authors who know their mythology and folklore from the inside in a way I never could. Okay, so what books is the imprint publishing? *Rubs hands eagerly* So many beautiful shiny books! 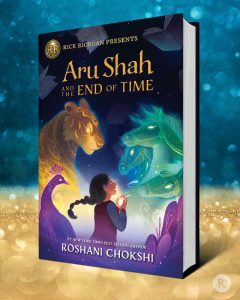 First up this March is Aru Shah and the End of Time, by Roshani Chokshi. You guys have been asking about a Percy Jackson-esque take on Hindu mythology, and let me tell you, Rosh does it better than I ever could. 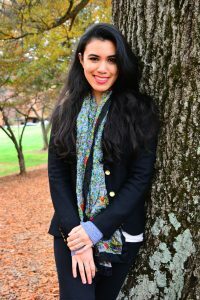 Aru Shah is a smart and salty middle school girl who just wants to impress her snooty private school friends. She takes them on a tour of the Indian-American Museum her mom curates, where her friends dare her to do the one thing she is forbidden to do: light an ancient lamp that will supposedly start the end of the world. 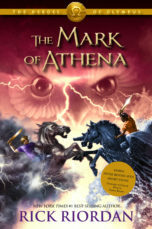 The book has been described as Percy Jackson meets Sailor Moon. Yup. This is going to be great! Zane is a lonely 13-year-old boy in New Mexico whose physical disability makes him feel even more like everyone at his middle school is watching him. But as he soon learns, his physical differences are merely the first clue to a family history that connects him to the Mayan gods–and puts him in mortal danger. As an ancient Mayan prophecy begins to unravel, Zane has to find the hero within himself. 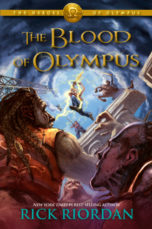 Great premise, wonderful main character, and some seriously awesome mythology! Yoon Ha Lee’s debut novel was an adult sci fi book called Ninefox Gambit, which I absolutely loved. You can read my review here. My elevator pitch for The Dragon Pearl is simple: Korean fox spirits in space! (Echo: space, space, space.) It’s a mix of sci fi opera and Korean mythology. This is not something you’re going to see every day, and no one could pull it off like Yoon Ha Lee does. Our main character is Min, a teenaged fox spirit whose brother disappears, supposedly deserting the Thousand Worlds Space Forces to search for the legendary artifact the Dragon Pearl, which may have the power to save their struggling home colony. 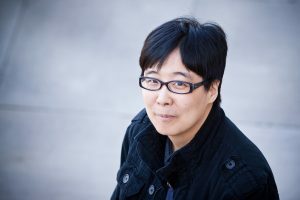 Yoon Ha Lee has already been nominated for the Hugo and Nebula Awards, and I anticipate Yoon will be seeing a lot more accolades when people get to read Dragon Pearl! I fell in love with Carlos Hernandez’s debut collection of short stories, The Assimilated Cuban’s Guide to Quantum Santeria, which reads like a really cool collection of Cuban-inspired scripts for Black Mirror. In Sal & Gabi Break the Universe, Carlos brings his crazy wonderful blend of fantasy and humor to middle grade fiction. Can you imagine The Hitchhiker’s Guide to the Galaxy with Cuban folklore set in a Miami middle school? Buckle up, kids. This is going to be AWESOME. So. Much. Excitement! 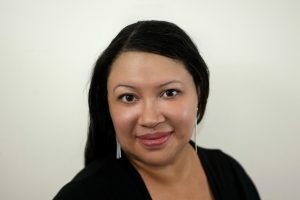 Race to the Sun is about a seventh-grade girl named Nizhoni Begay and her brother who, aided by various Navajo gods disguised as relatives, must stay one step ahead of a shape-shifting monster as they follow in the footsteps of the legendary Hero Twins to save their family. Rebecca’s debut adult fantasy, TRAIL OF LIGHTNING, releases in summer 2018 from Saga/ Simon & Schuster. 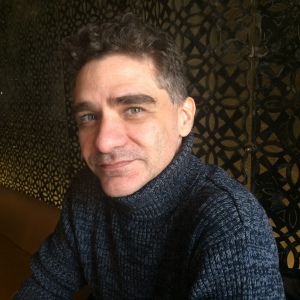 Daniel José Older calls Trail of Lightning “fun, terrifying, hilarious, and brilliant.” I can’t wait for Race to the Sun! Check out her website: https://rebeccaroanhorse.com. And these are only the titles I can tell you about right now. Many more are in the works and haven’t been announced yet, so stay tuned!